One side of some nugget pearls is flat due to natural grow. Each pearl is individually knotted on twin silk, and the bracelet is finished with a sterling silver clasp. 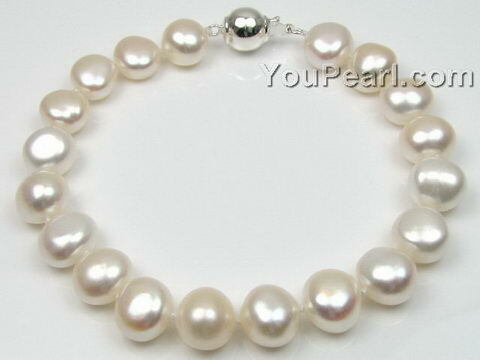 luster is not consistent on each side of pearl, one side may ..